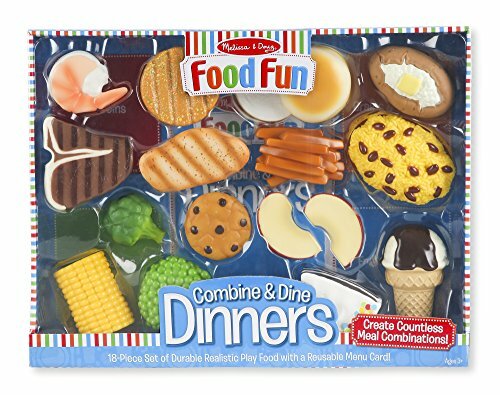 Satisfy hungry imaginations with this 18-piece set of durable realistic play food! 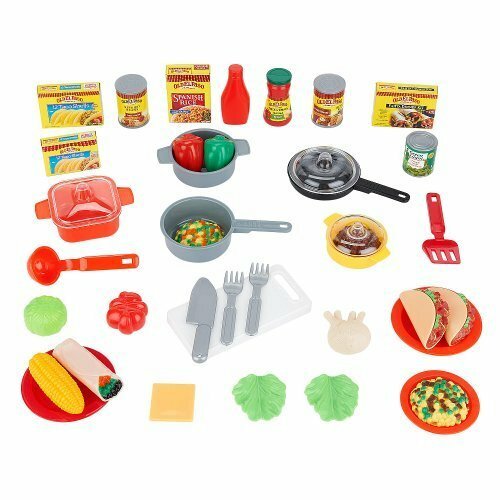 Kids three and older will make memorable make-believe meals with the solid, dishwasher-safe and realistically detailed food pieces, while also learning about nutrition and the importance of making and eating balanced meals. Combine & Dine includes proteins (steak, veggie patty, chicken breast, shrimp), grains and starches (rice and beans, 2-part burger bun, sweet potato fires, baked potato), vegetables (peas, broccoli, corn on the cob), and desserts chocolate cake, 2 apple slices, chocolate chip cookie, ice cream cone), as well as a four-sided menu and information card. 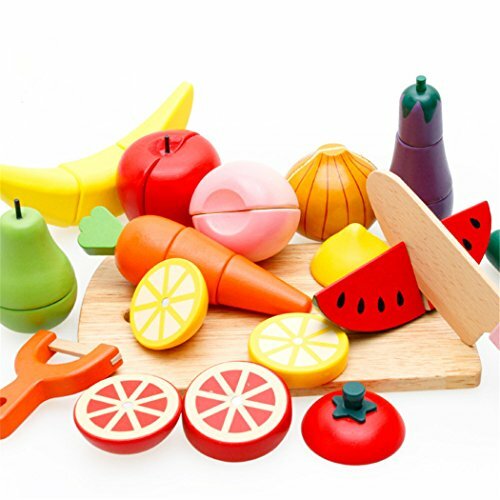 This playful food set lets young foodies create countless combinations to serve well-balanced fun. This 40-piece sharp colored pretend dish set, contains the perfect delightful dishes to serve up a feast for any guest! The coordinating pieces come in beautiful shades of blue, green, red and yellow. It is just as much fun to set a table with these dishes as it is to clean up afterwards and have them aligned in the dish drainer that's just like the real thing. 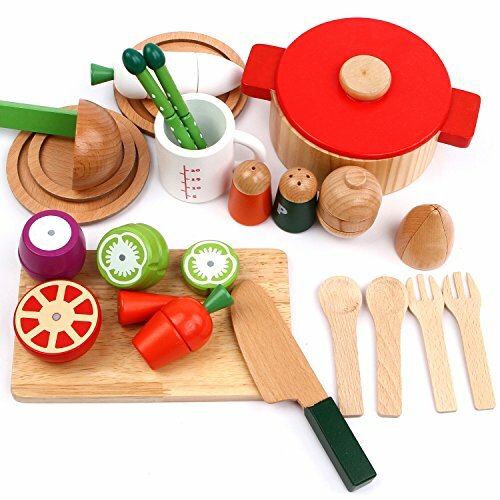 This set promotes: Social and Communication Skills as kids play with these dishes and practice everyday activities while using their vivid imagination. 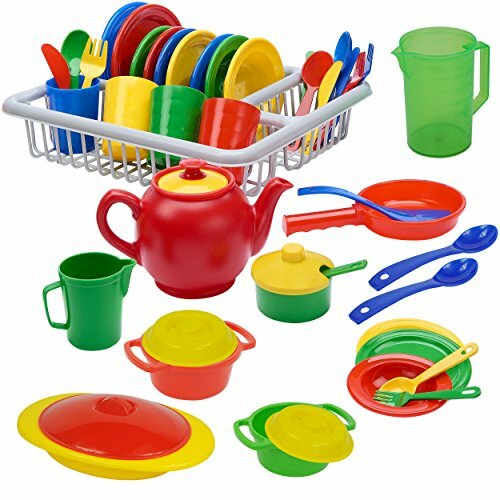 Fine Motor Skill Development as kids play with these dishes and set the table like a pro. 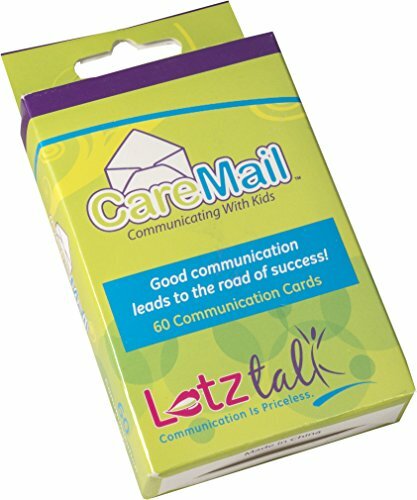 This set is also great for your kids to learn: matching, stacking, sorting, color recognition and hand - eye coordination. Disney Finding Nemo Toddler Dinnerware Set - Plate, Spoutless Cup and Flatware Featuring Nemo and Dory (Pixar Finding Nemo Dining). 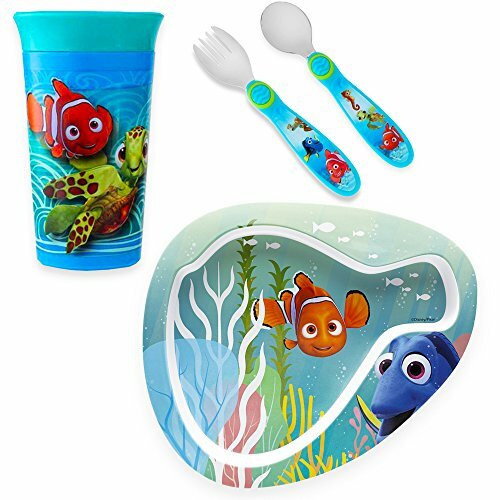 This colorful 3 piece Finding Nemo dinner set includes plate, spoutless cup and flatware featuring Nemo and Dory. Durable materials and construction last wash after wash. BPA free. This Disney Pixar Finding Dory dining set is food safe. Dishwasher safe (top rack). Do not microwave. Wash before first use. Perfect for any little Finding Nemo and Finding Dory fan. Officially licensed Finding Nemo toys and games product. Perfect as Finding Nemo party supplies! 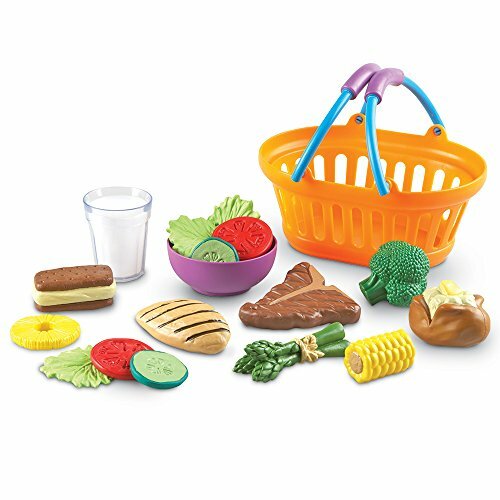 Satisfy hungry imaginations with this one-piece set of durable realistic play food! kids three and older will make memorable make-believe meals with the solid, dishwasher-safe and realistically detailed food pieces, while also learning about nutrition and the importance of making and eating balanced meals. 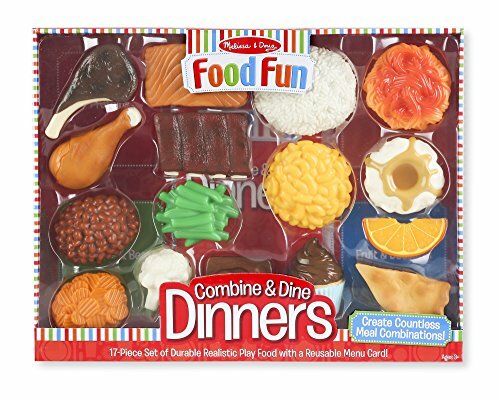 This combine & dine set includes proteins (BBQ ribs, chicken drumstick, lamb chops, salmon), vegetables and beans (baked beans, cauliflower, green beans, carrots), grains and starches (macaroni and cheese, mashed potatoes, rice), and fruit and desserts (cupcake, orange, Brownie, Apple Pie). identify the pieces and order meal combos with the reusable, full-color menu card. This playful food set combines perfectly with other food fun collections to serve well-balanced fun!